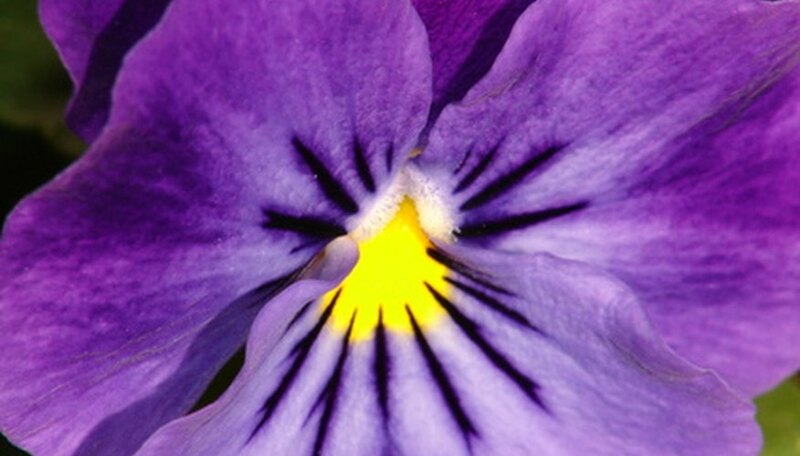 Viola cornuta, also known as horned violet or tufted violet, grows natively in the fields and mountain pastures of Spain, and thrives in hardiness zones 6 through 9 in the United States. Gardeners value horned violet for its delicate, fragrant blossoms that appear in late spring through early fall in shades of white, yellow and violet. Often used in flowerbeds, borders and as ground cover, viola cornuta plants combine well with other perennials including ferns, hostas and spring-flowering bulbs. Plant viola cornuta during mid-spring in a location that receives full sunlight or partial shade throughout the day. Apply a 2-inch layer of organic compost to the planting site and use a garden tiller to work it into the soil to increase moisture retention and fertility. Water once each week during spring and summer to keep the soil from drying out completely. Reduce watering frequency to once every 10 days during fall, and once every two weeks during winter when the plant is not actively growing. Feed viola cornuta once each year during early spring just before active growth resumes. Use a slow-release fertilizer to gradually add nutrients to the soil throughout the season. Follow the manufacturer's instructions for dosage and application. Remove any weeds that grow near viola cornuta plants as often as possible during the first two years of growth to eliminate competition for nutrients. Use a spade to completely remove all weeds and their root systems for the best results. Cut back viola cornuta to about half its height after flowering has ended and new blossoms will form shortly thereafter. Use pruning shears to cleanly sever the plants to minimize damage and reduce the risk of disease. Space viola cornuta plants at least 10 to 12 inches apart to allow enough room for growth. Do not use an herbicide to kill weeds around viola cornuta, as this can cause significant damage to the delicate plant.